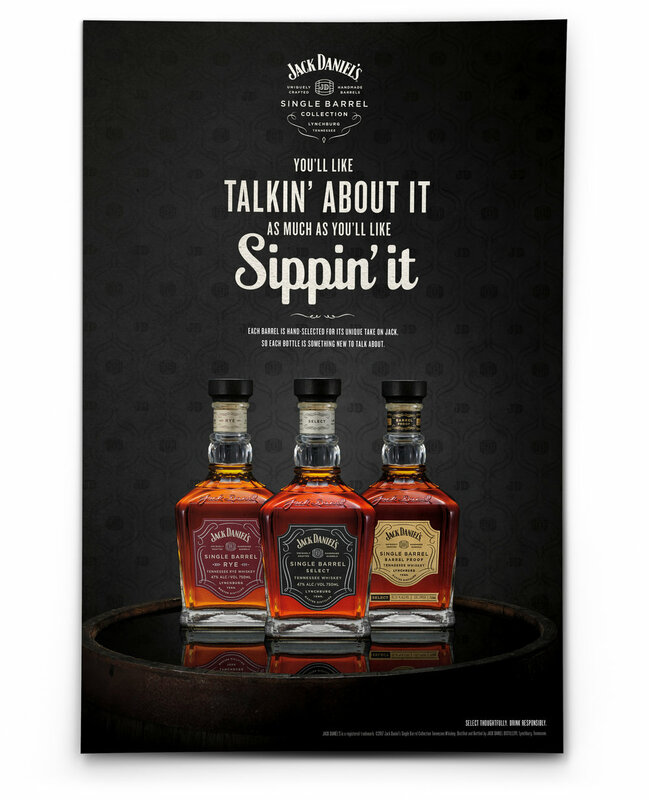 Jack Daniel's Single Barrel is a whiskey worth talking about. Every bottle of Single Barrel is pulled right from the barrel it's born in. And each barrel brings a little something different to its whiskey so you'll always have new tastes and aromas to talk about. Kick your feet up, pour yourself a glass of Tennessee Whiskey and give these long copy ads I penned a read. It'll take you a bit, after all. We created hand-animated, flavor profile videos to show the unique flavors and aromas found in each bottle.